The National Chamber of Exporters of Sri Lanka (NCE) in collaboration with the Consul Commercial, Sri Lanka Consulate in Sydney and the Consulate General of Sri Lanka in Melbourne, has taken a business delegation of Sri Lankan Exporters to Melbourne, Australia led by the Secretary General of the NCE, from November 19 to 23, 2018. The companies which comprise the delegation are Midaya Ceramic Company (Pvt.) Limited, Macksons Paints Industries, DSI Group, Alwis Agro Exports (Pvt) Ltd, Abdulla International (Pvt.) Ltd, Development Interplan Ceylon (Pvt.) Ltd, Warna Exporters (Pvt.) Ltd, Suntech Information Technologies (Pvt.) Ltd, and Uniceyl Marketing Services (Pvt.) Ltd. The objective of the Chamber was to promote two way trades between Sri Lanka and Australia, particularly exports from Sri Lanka to Australia and also to explore possibilities of sourcing inputs that could be used for exports, including Machinery and Equipment and processing technologies. Joint Venture for Investment opportunities was also explored. Currently total trade between Sri Lanka and Australia stands at USD 434 mn (2017) with exports amounting to USD 188 mn, and imports amounting to USD 246 mn (2017). As such there is much potential for the expansion of trade between the two countries. 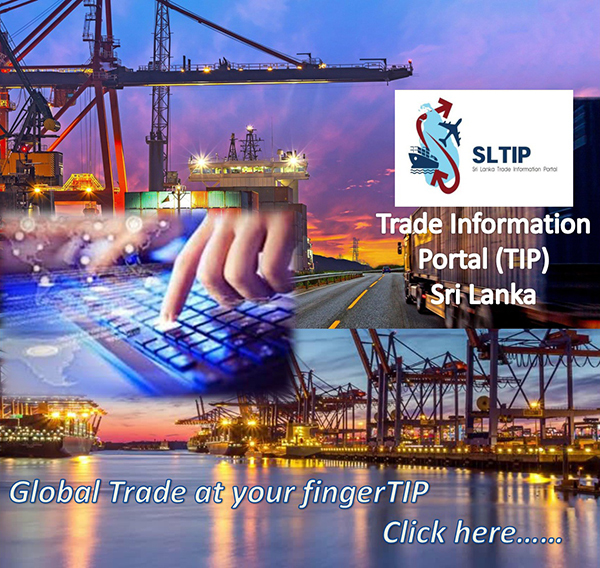 The main exports from Sri Lanka to Australia currently comprise; apparel, tea packets, pneumatic and re-treaded rubber tyres and tubes, coconut oil, footwear, industrial and surgical gloves of rubber, processed foods, wall tiles, motor vehicles and parts, and made-up textile articles. while the main imports by Sri Lanka from Australia comprise; edible vegetables, cereals, machinery and mechanical appliances, paper and paper board articles, live animals, tanning or dyeing extracts, lead and articles thereof, edible fruits and nuts, and edible preparations. The NCE had coordinated with the Sri Lankan Missions in Melbourne and Sydney Australia, in regard to arrangements for meetings for the delegates with the relevant business counterparts in Australia, as well as other activities prior to embarkation of the Delegation. The Chamber also assisted the delegates in providing supportive documents to obtain their visas. The delegation had conducted meetings and discussions with the relevant Trade Chambers and Associations in Australia. They had also conducted discussions with the relevant business counterparts and end users of their respective product lines, to explore opportunities for business development. Among the important activities undertaken by the delegation include Meetings with the Victorian Government Investment Centre, Meetings with Customs Brokers, to seek clarifications related to Customs and Bio Security requirements for imports into Australia, particularly in regard to quarantine issues. Meetings with Head of Research and Victoria State Manager of the Export Council of Australia followed by B2B meetings with relevant business counterparts. NCE VISIT TO Australia was coinciding with the International Sourcing expo held in Melbourne from 20th to 22 November 2018. Members of the Sri Lankan delegation visited the International Sourcing Expo, including the footwear and leather show, at the Convention and Exhibition Centre in Melbourne. They also participated at the Networking session with Australian Business contacts arranged by the Sri Lankan Missions in Melbourne and Sydney. NCE delegation also had Meetings with the Printing Industries Association in Australia, Meetings with the Victorian Chamber of Commerce & Industries and a discussion with Council Members and important business contacts of the Sri Lanka Australia Business Council. A meeting was arranged with Bunning Hardware in respect of selected sectors. The Chamber will aggressively follow up on the discussions and activities undertaken during the visit, to expand bilateral trade between Sri Lanka and Australia, in coordination with the delegates and the Sri Lankan Missions in Melbourne and Sydney. The Chamber plans a follow up visit to Sydney during early 2019.